Direct Way Cargo Nepal are officially registered partners will all the courier services we offer. As such we give you official documentation, receipts and tracking numbers direct from the couriers themselves. Please note that there are many Nepalese cargo companies who are not directly affiliated with these courier services. Always ask for official tracking codes written on branded paper before paying. Before leaving our offices you will be given an official receipt and tracking number from the courier service you will be using. Depending on the destination, most shipments leave Nepal by 10am everyday. Before the official tracking we give you will be registered with the couriers and you may trace your shipments progress directly from the couriers website. 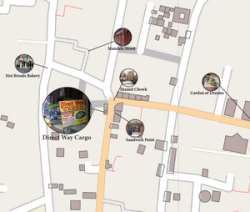 We at Direct Way Express want to put your mind at ease and will also be tracking your parcel. We will let you know as soon as your shipment is en-route to its destination.